how are you? The best thing about this Schwarzkopf Gliss Kur Ultimate Volume Hair Conditioner with Sea Collagen is that it doesn't contain the silicons so it will not weigh down your hair:). Also I have read good reviews about this hair conditioner so I have decided to check it out. According to the producer the Gliss Kur Ultimate Volume Hair Conditioner is good for fine, flat and damaged hair. 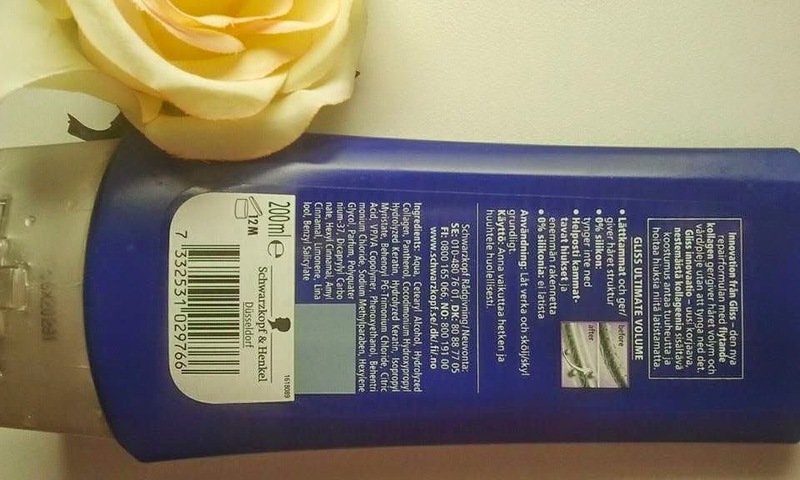 The producer also says that the conditioner has a new formula that will repair damaged area on the surface and deep inside the hair. Hmmm..., I don't believe that the conditioner can repair the hair inside but definitely it can improve the look of the hair. My hair is oily, delicate and rather demanding in terms of the hair care. For those reasons, for the last couple of years, in my hair care routine, I have been trying to use as many natural products as possible. Unfortunately they are often expensive or don't provide enough of moisture:(. 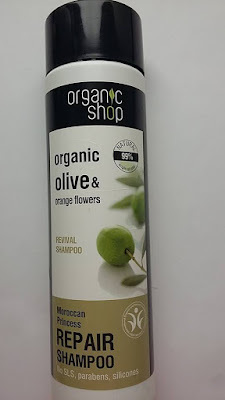 Recently I have been fed up with natural shampoo and conditioner from Madara, which are very expensive and don't do much to my hair. That is why sometimes I still buy drugstore hair care products, like Schwarzkopf Gliss Kur Ultimate Volume Hair Conditioner with Sea Collagen. This conditioner is really good and cheap. My hair likes it a lot, I can feel that during the application my hair literally "drinks" it. After the application my hair is soft, bouncy and easy to manage:). Ingredients: Aqua, Cetearyl Alcohol, Hydrolyzed Collagen, Panthenol, Cocodimonium Hydroxypropyl Hydrolyzed Keratin, Hydrolyzed Keratin, Isopropyl Myristate, behonoyl PG-Trimonium Chloride, Citric Acid, VP/VA Coplymer, Phenoxyethanol, Behentrimonium Chloride, Sodium Methylparaben, Hexylene Glycol, Parfum, Polyquaternium-37, Dicaprylyl Carbonate, Hexyl Cinnamal, Amyl Cinnamal, Limonene, Linalool, Benzyl Salicylate. 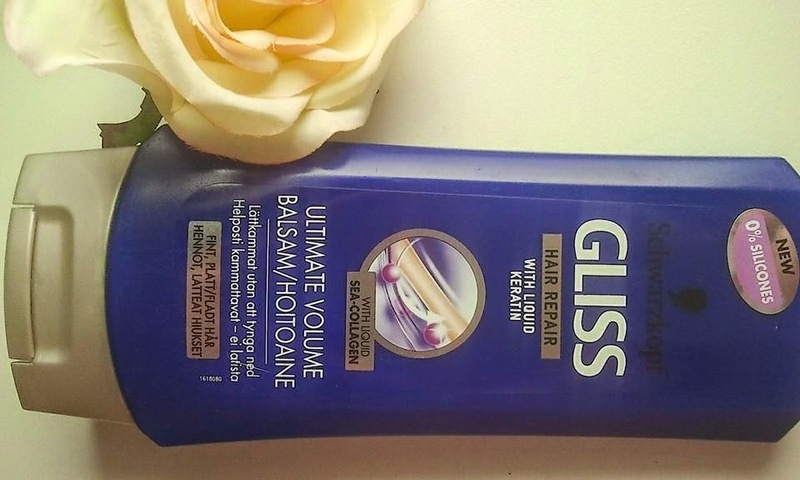 I would recommend Gliss Kur Ultimate Volume Hair Conditioner to anyone.